Understanding the world we live in is one of life’s great joys. But what about when it’s on a complicated subject that involves satellites and secret codes and the Russians? We break it down for you in our How GPS Works Ultimate Beginner’s Guide, where we took everything and boiled it down to the essentials. If you want to learn about how this technology works without feeling like your brain will explode, keep reading. We’re starting off with baby steps. Here’s an analogy to describe exactly how GPS works using radios and nursery rhymes. Though we might’ve lied a little bit; this explanation might require you to be, like, 15. If you read one thing here, this chapter should be it. So let’s jump right into it. Imagine a bunch of satellites are orbiting Earth that all have a radio transmitter on board. Satellite #2 starts Mary Had a Little Lamb on AM 670, Gounod’s Ave Maria on AM 1160 and FM 92.3. Satellite #2 is a newer satellite so it also has a special new type of transmitter called GM (one better than FM! ), where it plays Queen’s Another One Bites the Dust on GM 142.8 and Sinatra’s The Way You Look Tonight on GM 162.1. Other satellites on down the line can all send out their own song they pick for each type (AM, FM, GM, HM, etc) and station (670, 1160, 92.3, 162.1, etc) if they have that special radio transmitter on board. That means lots of songs are getting assigned. None are duplicated except for sometimes across types on the same satellite, like Beethoven on satellite #1. With so much going on, we need a way to get everyone to know what’s happening. You’re in your car which has just one radio in the dash, and it can only tune to AM 670 from any of the satellites above you. 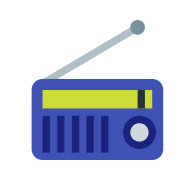 As a regular citizen, you can’t get a cool radio to listen to the good songs. No problem, who doesn’t love simple children’s nursery rhymes on repeat? Everything else you try comes in as a garbled mess. You talk to your Army buddy and he says his Humvee has a bunch of radios in the dash, one for AM 670, one for AM 1160, one for FM 92.3, and one for testing called HM 698. He can listen to whatever he wants. Let’s forget the radios for a second. We know that if you drove from Indianapolis to Cleveland, which is roughly 300 miles, in 3 hours, our average speed had to be 100 miles per hour. 300 miles per 3 hours is 100 miles per hour. Zoom! 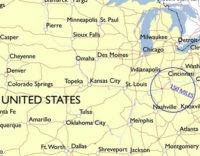 B) Traveled 100 miles per hour for 1.5 hours from Lexington, KY. That’s 100 mph x 1.5 hours, so we are somewhere 150 miles from Lexington in any direction. C) Traveled 100 miles per hour for 2.5 hours from Milwaukee. 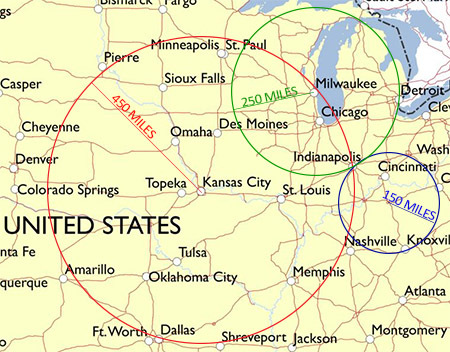 We are 250 miles from Milwaukee in any direction. But since we know all three, where could we be that fits all of these requirements? 450 miles from Kansas City, 150 miles from Lexington, and 250 miles from Milwaukee can only be one of the best cities around. This process of using (three) known distances to determine a location is called trilateration. 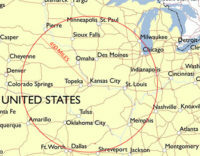 Sometimes it uses the border of a circle (like seeing which cities are all within 450 miles of Kansas City in every direction) and sometimes it uses the border of a sphere (like knowing we are somewhere 22,000 miles around a satellite in any direction of 3D space). Where the circles or spheres all come together and fit all distance requirements (mostly) gives a single unique point of where you could be. For spheres in 3D space, four (or more) distances are best because four cannot intersect the same way that three can. The fourth helps determine a single number it can use to subtract from the comparatively inaccurate receiver clocks so all the points can intersect properly. All right, now going back to your car and your radio. How does knowing trilateration help us determine our location? Your radio can listen to AM 670 from any satellite. Instead of measuring our helicopter travel, we’re measuring a song’s travel, which doesn’t travel at 100 miles per hour but at the speed of light. That’s 186,282 miles per hour. But how long does it take? Here’s where it starts to come together. Since we know exactly what time the song started for satellite #1, our car radio starts the song at the exact same time. It can also start the song for satellite #2, #3, and #4 all at the same time as well. Remember that list of songs and satellites with the locations in the sky that Ground Control made us? This helps us know where the songs are leaving from (in the same way we knew we left from Kansas City and Lexington in our helicopter). So that part is taken care of. Now we just need to know how long the song took to get there. If we play the songs starting at the same time, by the time the satellite’s version gets to us, even at the speed of light they aren’t matched up and it sounds terrible. We just need to see how long we need to stop our song before they line up. So you quickly pause your song for 0.02 seconds and hit play again. Still not lined up. You pause your song for another 0.02 and hit play again. The songs still aren’t lined up. You figure out exactly how long you need to hold your song back on your DVR-but-for-radios before they’re both exactly lined up. Ah! It was 0.0824 seconds. Since we know the songs go through space at the speed of light, and we already learned in our helicopter that speed of travel x travel time = distance that’s 186,282 miles per second x 0.0824 seconds. That means distance to satellite #1 = 15,349.6 miles. Perfect! 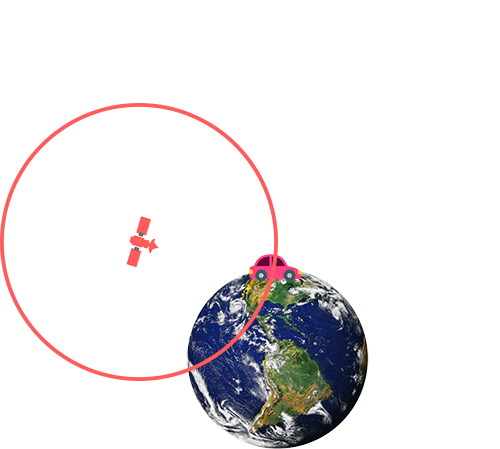 We can now draw a 3D sphere (not just a circle, remember, the picture is just a visual) with a radius of 15,349.6 miles around our satellite and know we are somewhere on the edge of it. But notice the circle touches a lot of the Earth. Let’s narrow it down. Just like the distances we calculated from the cities to get our location on a map, we do the same thing with spheres from the satellites to learn where we are. So our radios are never talking back to the satellites, all they have to do is listen and time out the difference to match up the songs. After some math, we have our location. Congratulations! 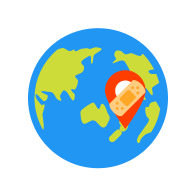 You understand the basics of GPS! Keep this in mind as we learn more about the technical details of GPS where the concept is the same, but some of the lingo and exact methods are tweaked a bit! First, let’s learn how we got to this point. Since the 1950s, the United States government has been consistently outdoing themselves. Well, as far as NAVSTAR GPS goes, anyway. Scientists heard a signal from the Sputnik satellite in the 1950s and quickly figured out they could use the “Doppler Effect” of its frequency to figure out the satellite’s exact orbit. Then calculating it in reverse, they could use the known exact orbit from earlier to determine a receiver’s location on Earth. In the mid 1960s, the United States Navy experimented with this technique for tracking nuclear submarines. They called this system Transit. They used six satellites that orbited the earth’s poles and could find the location of the submarine within minutes. In the early 1970s, the Department of Defense (DoD) decided to move forward with satellite technology using the Navy’s ideas. They launched the first Navigation System with Timing and Ranging (NAVSTAR) satellite in 1978. 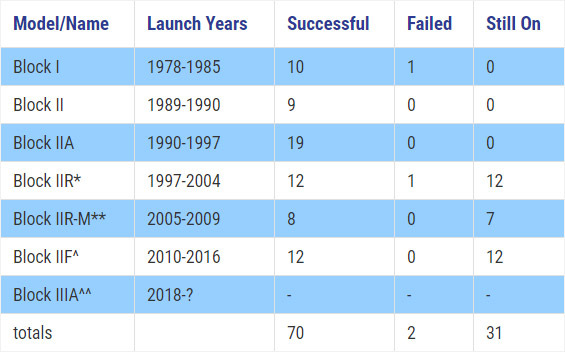 They continued to launch and test, and the 24 satellite system was operational in 1993. They quickly learned the system worked way better than they thought it would or should. They didn’t want enemies making use of it, so they started messing it up again. HEY! YOU’RE MAKING IT BAD ON PURPOSE! Thankfully for everyone else, the US government eventually recognized the usefulness of a precise GPS system for all. They stopped deliberately making non-military signals less accurate through “Selective Availability” (the process of making it bad on purpose) in 2000. On May 1 of that year, Selective Availability was discontinued. In 2007 the President announced that Selective Availability will not be built into any modernized satellites. an average of just three instances per year of errors that imply the location data cannot be trusted. The Performance Standard doesn’t shy away from the fact that they’ve made a habit of hitting most every lifetime and accuracy goal they’ve set for their satellites. There’s a lot that goes into the physical aspects of the NAVSTAR system. There are also a lot of people that work to manage it and keep it as accurate as possible every second of every day, no matter what. The US Government owns the Control Segment (anything GPS related on the ground) and Space Segment (space-based stuff). However it’s the US Air Force that develops, operates, and maintains them. Specifically, the 14th Air Force has the day-to-day operational responsibilities of GPS. Meanwhile at the Schriever Air Force Base in Colorado, the 50th Space Wing and the 2nd Space Operations Squadron do health and status upkeep on the monitoring stations and satellites themselves. 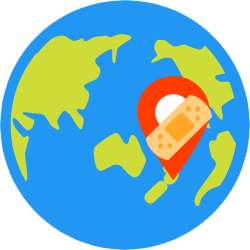 There are many locations around the world working together to properly track and control the information about the satellites. The various monitoring stations and tracking stations are owned/operated by different organizations. All stations however are working together to keep track of the satellites and report back to the Master Control Station in Colorado. Since the satellites are way out in space, they are usually on very clean orbits around the earth. Sometimes though things like the sun or moon’s gravity or solar radiation pressure can pull on them ever-so-slightly. It doesn’t do much, but to get things as precise as possible these changes need to be monitored and accounted for. There are some on-board systems to catch and automatically adjust for these things. For everything else, it’s the control stations constant monitoring and updates that keeps everything in line. The Master Control Stations use the information gathered by the tracking stations around the world to double check the math on the satellites’ health and ephemeris. Definitions: Ephemeris means their position, speed, and the angle and path in the sky as it relates to the equator (called the derived right ascension and declination). 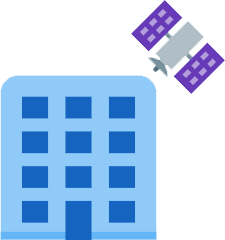 Each station can track up to 11 satellites at a time, with each satellite always in view of three stations, and each check happening twice a day per station. That’s a lot of math! There are six orbits that are all angled 55 degrees from the equator and equally spaced 60 degrees apart as the earth rotates. 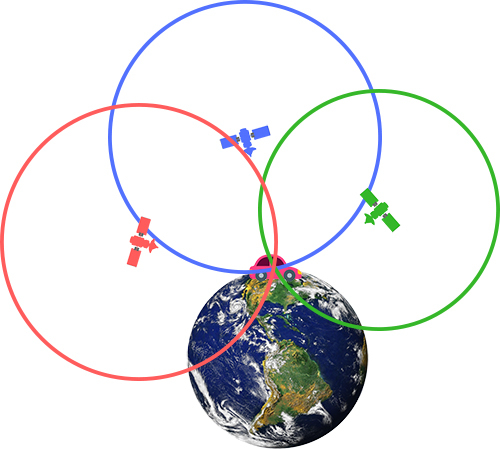 Each of the six orbits contain four “slots” for a satellite. This makes a 24 satellite constellation at minimum. Some slots can have two satellites in them. There are currently 31 operational GPS satellites. The satellites orbit at about 12,500 miles (which is a long way out: enough to fit another whole earth between the orbit and earth with plenty of wiggle room). This provides coverage over about 78% of the hemisphere of the earth it can see, and makes two rotations every sidereal day. Definitions: From the Latin sidus, a sidereal day is the time it takes earth to make a proper 360 degree rotation as compared to a fixed star in the sky as opposed to our sun. This is roughly four minutes shorter than the solar 24 hour day you’re probably used to. This is because earth is also orbiting around the sun as it spins, so the solar day rotation takes just a bit longer to get the sun back to the starting point. All of this results in each satellite being visible to a fixed position on earth for about four hours as it crosses the sky. When a receiver loses it over the horizon, it uses another receiver channel to lock onto another satellite. The key technical components of a satellite. In typical military fashion, it’s a total acronym-fest. Atomic Frequency Standard (AFS) generates fundamental frequency 10.23 MHz clock signal with stable frequencies of rubidium (mostly) and cesium. They count time to the billionth of a second (also called a nanosecond, or 0.000000001 seconds). This timing is distributed to other payload subsystems by the Frequency Synthesizer and Distribution Unit (FSDU). The Navigation Data Unit (NDU) gets the uploaded navigation data (NAV) from the Control Segment through the Telemetry, Track, and Command (TT&C) subsystem. The Navigation Baseband generates the pseudorandom noise (PRN) ranging codes (aka the “song” from our example in chapter 1) and adds the NAV data message (the Ground Control list from our example), which is occasionally updated from the Control Segment and added to the C/A and P(Y) PRN code sequences. The L-band carriers (L1, L2, etc, or the AM, FM, GM, etc from our example) get the modulated binary sequences from the L-band subsystem. This is then broadcast by the helix array antenna. Yes, we just said the on-board clocks operate at 10.23 MHz. The clock speed is actually adjusted to 10.22999999543 MHz. Why? Since the satellites travel in space at 8700 mph, they are affected by Einstein’s Theory of Relativity, which has two parts. Because of special relativity (where time is altered because of speed) the satellites are 7 microseconds per day slower than Earth-based atomic clocks. Because of general relativity (where time is altered because of gravity) the satellites are 45 microseconds faster. So, 45-7=+38 microseconds fast every day. If left uncorrected, even from that tiny bit, all GPS measurements would be off by about 6.8 miles daily. To make up for this daily 38 microsecond difference, the clock speed is therefore changed ever so slightly. So now we know what goes into the physical aspects of GPS, we’ll now look at what the satellites are actually doing. This is all about the “songs” coming from the satellites. The songs represent the PRN code (C/A, P(Y), L1C, etc) where some codes are simple, like the nursery rhymes, and some codes are complicated and long, like the symphonies. The analogy isn’t perfect, but it does a great job at getting us closer to understanding GPS’s real-life DVR-but-for-radios method of trilateration. 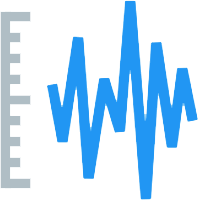 Precise Positioning Service (PPS) – Uses the P code (which when the W encryption is added becomes the Y code and referred to as the P(Y) code) on both the L1 and L2 frequencies. It also includes the M-code, which is designed as an improvement to the P(Y) code. These are limited to the US Armed Forces and federal agencies, and selected allied forces and governments. Standard Positioning Service (SPS) – Uses coarse acquisition (C/A) code on the L1 frequency. As satellites gets replaced, other frequencies like L5 and signals like L1C and L2C are being added. This is available free of charge to all users worldwide on a continuous basis. This is the one used by all commercial based GPS devices, like direction-based in car systems, handheld location finders for hikers, GPS trackers like you find with GPS Tracking Made Easy, and so on. The GPS signal wavelengths were chosen because they interact with the atmosphere less than other wavelengths. At the average orbital distances of the satellites, the signals still take almost 0.07 seconds to reach earth. Reducing interference is in our best interest. Sent with enough power to ensure the minimum signal power levels of -158.5 dBW for L1 C/A-code. C/A signal at 1.023 MHz (1/10th the fundamental frequency) with navigation data for all peaceful civil/commercial/scientific use. Our very own Twinkle Twinkle Little Star. P-code signal at 10.23 MHz (exact fundamental frequency) with a 0.0005 MHz navigation data message for authorized use. Remember the P-code + W encryption code = Y-code aka P(Y) code, which then requires valid cryptographic keys to unlock and use. M-code (L1M) signal at 5.115 MHz. Interestingly, this signal is shaped so that its energy is on both outer edges of the frequency away from existing C/A and P(Y) codes. It also has a “spot beam” directional antenna inside the other beam which can be up to 100 times stronger and to a receiver appear like a second satellite in the exact same spot as the rest of the beam. L1C signal (C for civilian) which is a newer, modernized SPS signal. It offers a Multiplexed Binary Offset Carrier (MBOC) that, for regular people, matters because it will improve mobile GPS reception in cities and other similarly difficult locations. This signal is slowly being added on the L1 frequency as new satellites go up. P(Y) signal and M-code (L2M) signal are included with a navigation data message. They’re identical to the P(Y) and M-code messages that are sent through L1, but has secret portions that also require a cryptographic key to unlock. If someone has the proper “keys” then any combination of frequency and signal may be used, based on mission or device limitations. L2C signal (C for civilian) is a new signal on the L2 frequency first launched with a new satellite in 2005 and every one since. As of Oct 2017, 19 satellites feature the L2C signal. This signal enables ionospheric corrections for non-military users currently “stuck” with just one GPS frequency (L1). A capable receiver compares L2C or L5 signals with L1’s C/A or L1C signal and the difference between the two allows the receiver to calculate how much each frequency was changed by the atmosphere. This allows the atmosphere to be calculated out. See Chapter 6 for more. Starting with Block IIR-M in 2005, new signals are slowly being added to the replaced satellites. The new L1C and L2C were discussed above. Here we discuss the L5 frequency, which for now only features an L5 signal. Yes, they’ve been given the same name. Remember that because a receiver needs a constant four satellites to lock on to, these signals will not be fully operational until more satellites feature them. Will be the third civilian signal and will focus on aviation safety services. 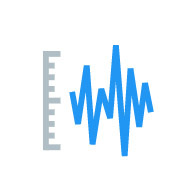 Like the L2C signal, the L5 signal on the L5 frequency will enable ionospheric corrections for improved accuracy by providing a second public frequency to which it can be compared. The first satellite launched with an L5 transmitter was completed in May 2010. 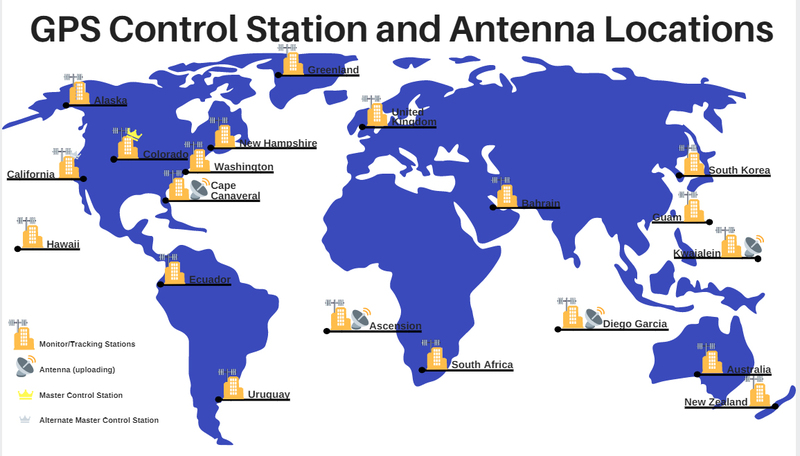 In April of 2014, the USAF began sending transmissions on the L2C and L5 signals, but it is considered pre-operational and used “at the user’s own risk” until they are broadcast from 18 of the 24 satellites. As of April 2017, 12 satellites broadcast on L5. The navigation message is the Ground Control list from our radio example in Chapter 1. If you recall, our list basically contains details about each song like which satellite is playing it and where that satellite is, among other things. There are now two kinds of Navigation messages: Legacy and Civilian. The difference essentially boils down to how the data within the message is sent. 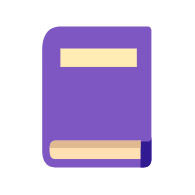 In Legacy, the information is sent in predefined sections called frames and subframes (almost like their very own chapters and subchapters to a story). In Civilian, the same kind of information is sent but instead of rigid frames to fit inside of, it’s a packet so to speak, where the packets they send can be adjusted in size as needed. This provides greater flexibility. Let’s jump into the technical details. An entire LNAV message takes 25 different messages, or “frames,” to get. Each of the 25 frames are 1500 bits each, where one “bit” means either a single 0 or a single 1. So a frame is a big string of 1500 specially ordered ones and zeros. It’s sent at 50 bits every one second (which is 0.0005 MHz as we discussed earlier), so it takes 30 seconds to send each frame. With 25 frames per total message, that’s 12 ½ minutes for an entire 37,500 bit LNAV message. With the 1.023 MHz C/A code versus a 0.0005 MHz NAV message (big “speed” difference!) means one NAV message bit for every 20,460 C/A code chips (called “chips” instead of “bits” because they don’t contain any actual information). That’s pretty slow, so how is it updating the clock so frequently to stay accurate? Every frame is divided into 5 subframes. 1500 bits in a frame/5 subframes = 300 bits to a subframe. At 50 bits per second, there’s a new subframe every 6 seconds. Subframes 1, 2, and 3 are new/updated for each whole frame sent (every 30 seconds, if you recall). This is the ephemeris (satellite’s orbital math) and clock corrections because both of these need updated frequently. Subframes 4 and 5 are each 1/50th of a much larger 25 frame message spanning an entire LNAV message. What’s divided into subframes 4 and 5 are therefore new and updated for each total message every 12 ½ minutes. This information includes the “almanac,” a collection of the ionosphere data, UTC to GPS time conversion, general constellation orbit and status information (such as who has what “song”), and the almanac reference time. This is a lot of information (which is why it requires 50 total subframes) but isn’t as time sensitive, so the 12 ½ minute timeframe for updates is adequate. In our radio analogy we just said that ground control plays the list message over the songs. What actually happens is the LNAV data uses Binary Phase Shift Keying (BPSK) with Modulo 2 adder to merge itself onto the PRN code to be sent on the carrier frequency. Obviously. However, this technique is beyond the scope of this post, but feel free to follow the link to learn more. As an upgraded version of the navigation message, these aren’t sent as frames of a defined repeating permanent size. The “pseudo-packetized” format allows for flexibility when delivering its 12-second 300-bit packets. Ultimately the same information is being sent over the course of many packets, but it can be sent in a different order if needed. An additional bonus is that the supported number of satellites is increased to 63, over LNAV which can only support 32 satellites at one time. The Civilian Navigation Message is being used on the L2C and L5 frequencies, which means that until those frequencies are deemed fully operational by the government, they’re still being tested and refined. Like the M-Code PRN code, little is known about this navigation message type except that like CNAV, it’s packetized and uses Forward Error Correction (FEC) and advanced error detection. When dealing with literally nanoseconds, being as precise as possible is of the utmost importance. Unfortunately, the planet we live on sometimes does not care what we want. The ionosphere is part of the thermosphere layer of the atmosphere between about 31 and 310 miles up and has ionized particles that can affect GPS signals as they travel through. A lot of the error caused by this layer can be mathematically filtered out with NAV message corrections, but this is still a big cause of GPS errors. The troposphere is the lowest part of the atmosphere and the part that we’re used to, the part that gives us weather. So it can be wild, with water vapor and everything else, but it still causes relatively little error. We can calculate the average error and math it out of there similar to the ionosphere calculations. With a dual frequency receiver, like one that can listen for L1 and L2, we can see the difference the atmosphere plays on the two frequencies. We can determine the type and amount of atmosphere and then correct for it. But this is only something for those with access to a second frequency. The angle of the satellite from the receiver is also important because the amount of atmosphere is greater than if the signal just traveled straight down, creating a greater chance it will interact with something. The signal can also have a multipath error, which is when a signal bounces off buildings, cars, trees, or anything else before the receiver gets it. This can be confusing to the receiver which is hearing many different signals at once and some are way off. It can use tricks to help determine which is the strongest and earliest signal, because a signal that has bounced off everything and the cat is both weaker and later than a signal that’s made a straight path. A clever way for civilians to get around the limitations of only using one frequency (L1) is the use of permanent stationary receiving stations. Since its permanent location can be proven, when the station receives the signal it can instantly know how far off the signal has changed through the atmosphere and send that correcting value to nearby DGPS-equipped receivers so they can add or subtract in that variable in the calculations. Their own measurements are then that much more precise. Placing a receiving station can be useful by a runway near tricky mountains for example, or near the shore for frequent GPS use of docking ships, or in construction projects. Once we elect Elon Musk president of Earth, we can line them along the road to help provide pinpoint accuracy for self-driving cars. The table shows the percent of the total distance of errors each category causes in each system. You’ll notice DGPS eliminates clock and orbit errors, but does not improve multipath errors (6% of Standard GPS average error distance is about 23 inches, the same as 40% of the total DGPS average error). 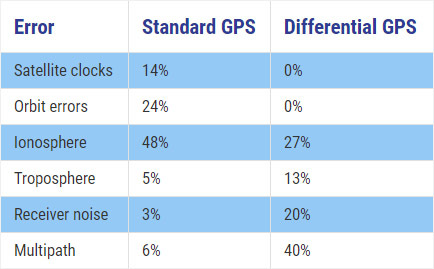 The total Standard GPS average error is about 34 feet, while DGPS is about 5 feet. This method is similar to DGPS, but it instead the signal is first picked up by the base station, then calculations are sent back to a geostationary satellite, which is what the ground based receivers listen to instead. GPS is a huge benefit to everyone on the planet, and we’re very fortunate the US Air Force is providing it to us for free. 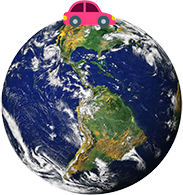 Knowing where and when we are on the planet has changed and improved the way we do business. 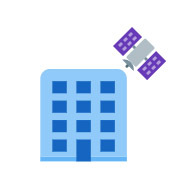 There are physical requirements like control rooms and satellite components, and there are digital requirements like secret codes and Navigation messages. Putting all the moving parts together to form a working GPS system is an art, but one that is never finished. If you believe there’s something we missed or could do better, please let us know by using one of the “Social” links in the footer below. 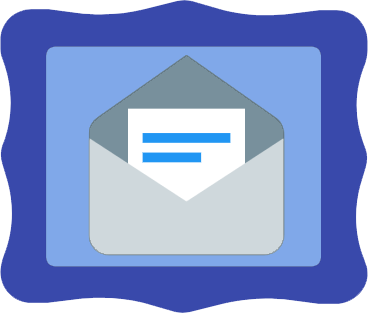 If you like our style and want to receive occasional emails with information and special deals, subscribe below. 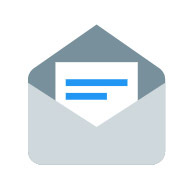 To receive information from us like new products or product tips, provide your email below.